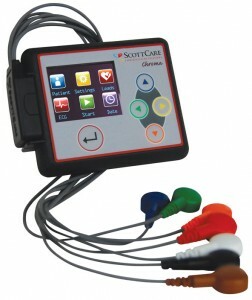 ScottCare entered the Holter Monitoring business with the acquisition of Rozzin Electronics. Scottcare claims to have made several improvements with the Holter Technology including recording capabilities and integration & patient management. Further, ScottCare markets their Chroma™ Holter Monitor to be the ‘first’ in the industry to introduce a series of new features in Holter Monitoring. The HolterCare software from ScottCare has many useful features to assist in accurate diagnostic analysis of the recorded Holter Monitoring. HolterCare’s automated analysis takes just 60 seconds to download and analyze a 24 hour patient study. The software uses multi-level template, interactive trend and morphology editing, as well as superimposition and individual page mode review. The software is available as a standalone or network system. Chroma™ Holter Recorder integrates into ScottCare’s comprehensive diagnostic & management solution called the CardioView Dx™.